Danny Mills thinks that Manchester United should consider looking to England manager Gareth Southgate to succeed Jose Mourinho. Mourinho was sacked on Tuesday morning, less than two days after United’s 3-1 loss against bitter rivals Liverpool. 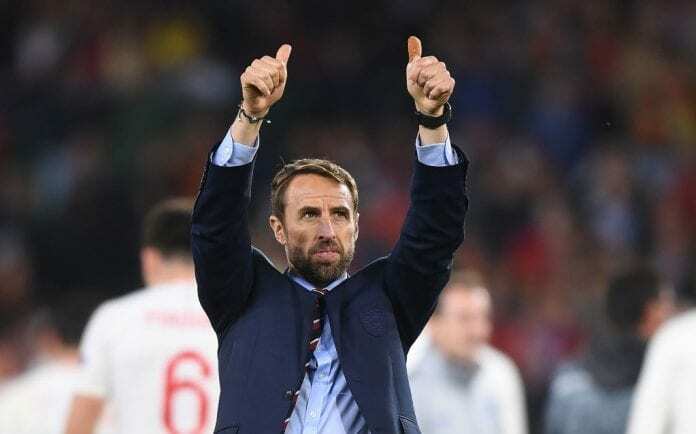 The Sky Football pundit reacted by tipping the England boss to take over the managerial duties at Old Trafford citing his recent achievements with the National team as remarkable. Dotmound 3 : Madrid 1, Mourinho sacked a week later. Liverpool 3: Chelsea 1, Mourinho sacked a week later. Liverpool 3: Man U 1…Mourinho sacked 2 days after. “I tell you whose name hasn’t been thrown into this – Gareth Southgate,” Mills told Sky Sports News. “If I was Manchester United, who would I want as my next permanent manager? I’d want a feel-good factor, someone to bring through young players, somebody that plays in the right way, somebody that can connect and reconnect with the fans all over the world. “I’m not sure he would want the job, and I’m not sure they could get him. But surely he’d have to come into the reckoning if you’re Manchester United.